Every once in a while, a movie comes along that lets you see a very funny impression of Werner Herzog ordering a smoothie. All About Nina is that movie, and a good bit more. A confident, impressive feature debut from writer/director Eva Vives, it rides a sensational lead performance from Mary Elizabeth Winstead for a character study with a timely and tenacious bite. Winstead is Nina, a standup comic in New York whose edgy routines about dating shed light on her tumultuous personal life. She prefers one night stands over boyfriends, but still can’t totally free herself from a dysfunctional relationship with a married man (Chace Crawford). Needing a shakeup, Nina moves to L.A. to pursue a spot on Comedy Prime, the late nite brass ring for up and coming comics. As she fine tunes her audition material, a stop/start romance with the easygoing Rafe (Common) pushes Nina to reconsider her aversion to commitment. 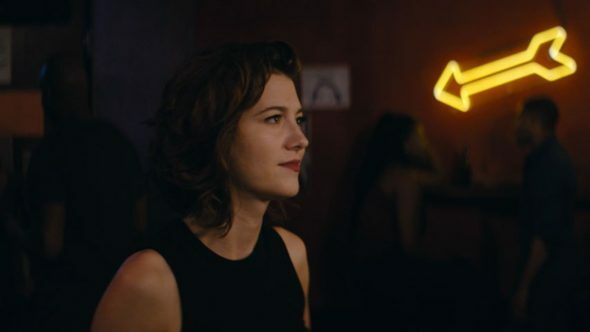 Winstead’s fearless performance, one that should be remembered this awards season, hooks you from the start, bringing a sympathetic charm to Nina’s defensive, anxiety-ridden persona. An impressive Common crafts Rafe as Nina’s cool, collected opposite attraction, and the actors’ natural chemistry leads to a fear that the film will be content to chase the type of romantic fantasy Nina rails about onstage. Vives has more than that on her mind. The standup comic who uses laughter to mask pain is a well-worn path, but Vives uses the very comfort in that cliche to point out, as we’ve been so clearly reminded of the last few weeks, how casually some trauma is dismissed. Vives is juggling some important themes, and the few moments where the film’s uncertainty breeds heavy-handedness can’t diminish her exciting potential as a writer and director. On its surface a look at giving yourself without losing yourself, All About Nina isn’t just about Nina, and that’s what makes it truly resonant. It reminds us of the courage it takes for women to speak up, and the shame that comes with not listening.